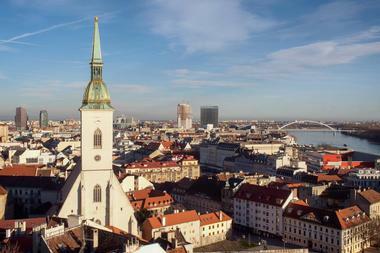 There are many places to see and things to do in Bratislava, the capital city of Slovakia. Visitors can take in the historical architecture of the city while strolling the streets of the historic Old Town to the city’s modern UFO Bridge. Bratislava is filled with all kinds of history and culture, from castles to an assortment of museums to historic gates and structures from the Soviet era. 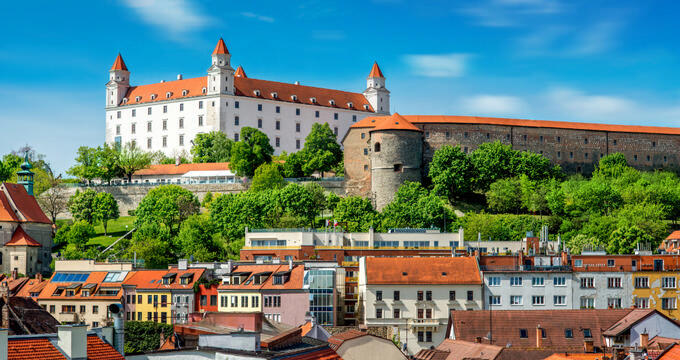 Bratislava Castle is perhaps the city of Bratislava’s most well-known and recognizable landmarks, standing atop a hill overlooking the Danube River and the surrounding city. Grand looking over the capital of Slovakia, the castle was constructed during the ninth century and has long been an iconic symbol of Bratislava. Eleven monarchs throughout history were crowned at this castle. The silhouette of Bratislava Castle is made up of four wings, with a corner tower in each one. Among the things to see in the castle are the eastern terrace and various exhibitions. Visitors will find panoramic views of the city below. From the end of November through December 23rd, there has been a massive Christmas Market that takes over Bratislava’s city center every since the year 1993. Visitors to the holiday market can find a wide variety of services and products, from many different street artists to both non-alcoholic and alcoholic drinks to traditional food to handmade gifts, decorations, and more. The Bratislava Christmas Market boasts a friendly and fun atmosphere in which visitors and locals alike can enjoy the holiday season. Small shops, beverage stalls, and food stalls can be found in three main locations in the center of the city. 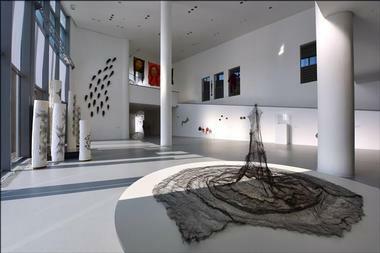 The goal of the Bratislava City Gallery is the collection of artwork, as well as the study, restoration, and conservation of its art collections. The gallery also encourages the widest access possible to the various cultural treasures it houses through educational and cultural activities, along with expositions. The collections of works of art are displayed in two different historical buildings located in Bratislava’s historic city center. 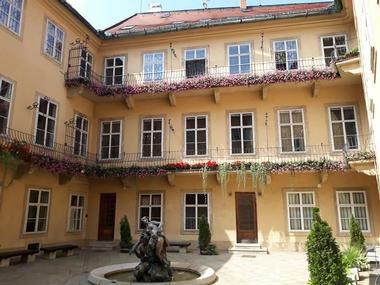 Artwork is on exhibit at the Mirbach Palace in Františkánske Square and at the Pálffy Palace on Panská Street. 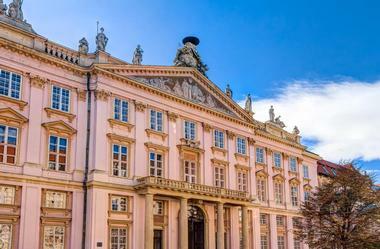 One of the main permanent exhibits is the Central European Baroque Painting and Sculpture exhibit. The Bratislava Danube River Cruise is offered in the evenings and lets visitors see the city of Bratislava from a different perspective. This river evening cruise along the Danube River present a more romantic side to the capital of Slovakia. The cruise consists of just a group of passengers, the Danube River, stunning views of the city, and a glass of champagne. The cruise is designed for larger groups, as it takes place on demand and is a private river cruise. There is a minimum of twenty people and the cruise last approximately one hour and thirty minutes. 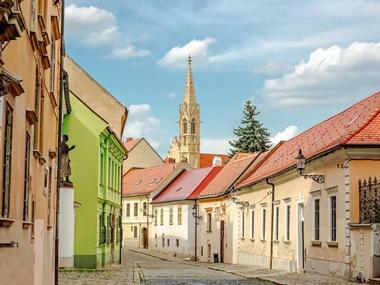 The Post-Communist Bratislava Tour is an alternative, off-the-beaten-track tour of the city. The quirky tour of the capital takes place in an 8-seater van Škoda 1203 or a legendary Czechoslovak car Škoda from the 1970’s. The tour explores several places from Bratislava’s communist past, along with more recent transformations in the city. 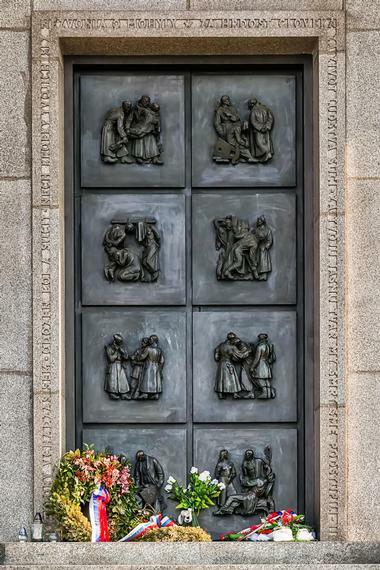 Sites guests will see during the tour include the Slavin monument, the site of the Iron Curtain border zone, a WWII bunker line, and quite a bit of architecture from the communist-era. The Post-Communist Bratislava Tour brings the story of twentieth century Bratislava to life. The Bratislava Zoo was one of the first zoological parks to open in Europe. Construction of the zoo in the capital city of Slovakia started in the year 1959, with its grand opening taking play on May 9th of 1960. A unique exhibit of alpine meadows was added to the Bratislava Zoo in 2004 and has been popular with visitors of all ages. In 2006, a new pavilion housing levy, tigers, jaguars, and leopards was added. 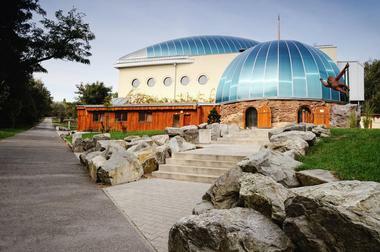 Since 2006, several other additions have been made to the zoo, including the pavilion of primates, two play complexes for children, and the ZOO shop. The Classic Walking Tour in Bratislava, Slovakia is a professionally guided walking tour of the capital city, the largest city in the country. 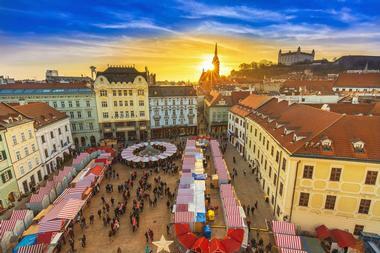 The tour is around an hour in duration and serves as a great introduction to Bratislava, as well as to the culture of the not as well known country of Slovakia. Guests will have the opportunity to see many different significant sites during the tour as they explore the beauty of the city on foot. 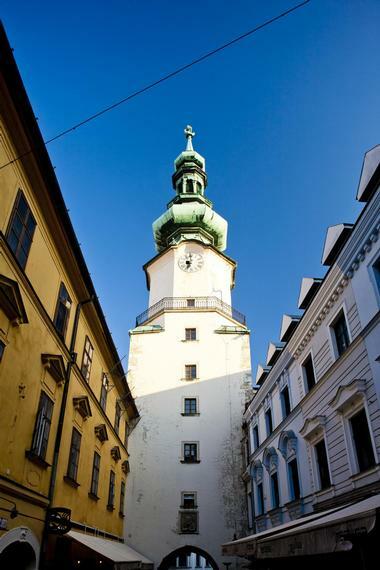 Sites visited on the Classic Walking Tour include St. Martin’s Cathedral, Michalska Street, and Old Town Hall among other major historic and cultural landmarks. Located a little ways outside of the city, Danubiana is a contemporary art museum with a great location along the Danube river, situated on the end of a peninsula. The museum opened in stages beginning in the 2000’s, and was open fully in 2014. The permanent exhibition can be found on the first floor of the Great Hall. The exhibition features an international selection of installations and paintings by Jill Moser, Christo and Jeanne-Claude, Sam Francis, Hungarian artists such as Ilona Keserü, Austrian artists like Hermann Nitsch, and CoBrA artists such as Karel Appel. Outside of the building is a sculpture park. 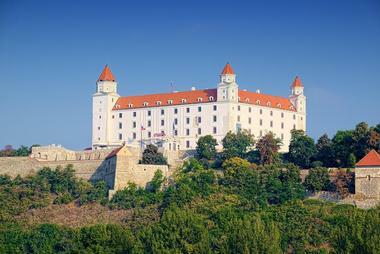 Devin Castle is another one of the most popular attraction in the capital city of Bratislava. The interesting castle is located approximately ten kilometers to the west from the city center. 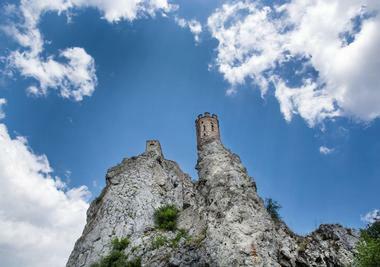 Devin Castle is more of a castle ruin situated on top of a cliff measuring 212 meters in height. Perched at the meeting of the Morava River and the Danube River, the mighty stronghold once controlled the Danube trade route during its heyday. It is one of the country’s three oldest castles, dating back to the fifth century BC. The castle was destroyed in 1809 by Napoleon’s troops. The Hotel Galeria Spirit situated behind the main train station in Bratislava is an extravagant, colorful, and crazy building in the capital city that serves as both an art gallery and hotel. The artsy and one-of-a-kind hotel places a focus on beauty and health. Guests even receive a nutritional supplement for free that is based on the own personal health conditions. This is in addition to other services offered by the hotel. The Hotel Galeria Spirit is listed as one of the world’s most unique structures. 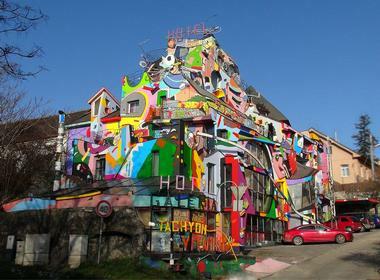 It features avant-garde architecture and a fabulously imaginative look, a rare site in Bratislava. Michael’s Gate is one of the early structures in Bratislava’s Old Town and is the city’s last vestige of the original medieval gates. Once four gates existed, but now only the east gate of the city remains. Michael’s Gate extends to a height of fifty-one meters, towering over a number of streets. Dating back to the beginning of the fourteenth century, the gate acquired its now Baroque appearance as a result of a remodel that took place in 1759. The sixth floor offers a good view of the surrounding Old Town. and a museum exhibit can be seen in the tower. At the historic core of the city of Bratislava is Old Town, a place where idle curiosity can easily take over, guiding visitors down airy, bright alleyways and out onto palatial squares. The historic area is small enough, however, where even if people get lost, they won’t have much trouble at all finding their way again. There are many things to see within Old Town, such as Baroque architecture and historical buildings, dainty fountains, plaques indicating historical significance of the area, and little idiosyncratic monuments. Several outdoor cafes and artisan shops also dot the historic center. 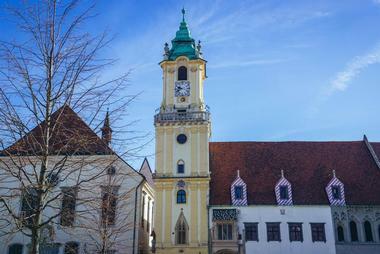 The Old Town Hall, located on Hlavné Námestie, is one of the city’s most respected landmarks. The historic building came together during the 1200’s when a Romanesque house became a part of the city’s holdings. One by one building neighboring the house were bought and annexed by the city as well. The Old Town Hall is now a fascinating collection of four different palaces and houses that are filled with little surprises. The Renaissance courtyard with a gallery is the most beautiful section and dates back to 1581. The building also houses the Museum of the City History. The Primate’s Palace, which welcomes visitors, was originally built back during the 1770’s in the Neoclassical style. 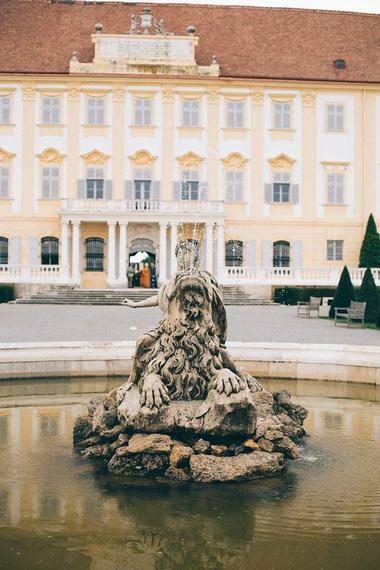 The palace was constructed to be the home of the Archbishop of Esztergom, and later served as the residence of Slovakia’s president up until 1996. The highlight of any tour of the Primate’s Palace is the Hall of Mirrors. This hall is a series of five salons, with each one named after the color of the decor in the room. The Hall of Mirrors was where the Treaty of Pressburg was signed in 1805. The inner courtyard features a sculpture of Saint George slaying a dragon. The Schloss Hof grounds encompass more than seventy hectares. The grand ensemble consists of the manor, the garden, and the two-story castle, and possesses a particular historical, cultural, and artistic significance. Schloss Hof is the hunting paradise that Prince Eugen of Savoy acquired in 1725. The staircase of the castle leads to the first floor’s state rooms. Tours start in the north wing where the residential apartment of Prince Eugen, and later Emperor Joseph II are located. The east wing provides views of the castle’s magnificent garden. Maria Theresa’s rooms can be seen in the southern wing. 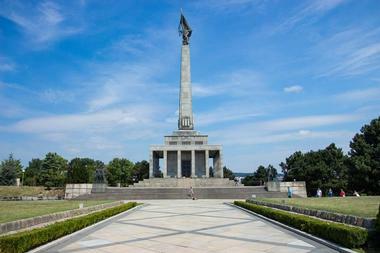 The massive Slavín war monument can be seen throughout a large portion of Slovakia’s capital city. Situated on top of a hill that overlooks the castle, the memorial was built in commemoration of the city’s liberation in April of 1945 by the Red Army. Unveiled to the public in 1960, Slavín is located in the city’s upmarket quarter above embassies and mansions. 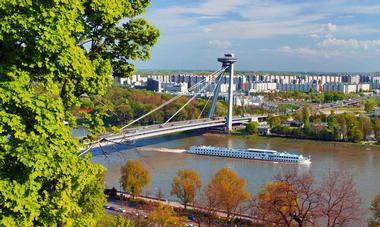 The main draw for visitors is the amazing panoramic views the site provides of the city of Bratislava below. 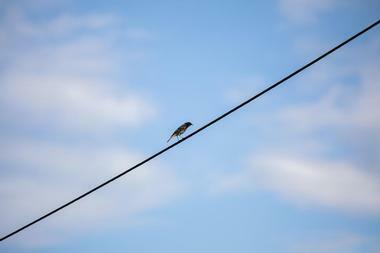 The surrounding area is also a great spot for a leisurely walk. In front of the monument are six mass graves. The Slovak National Gallery was founded by law by the Slovak National Council in 1948. For Europe, this was a relatively late date and is the result of Slovak ambitions after the war. 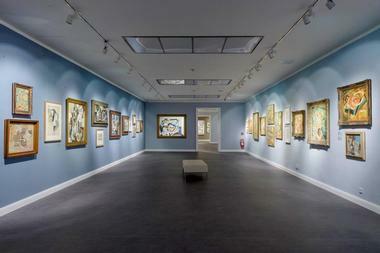 The gallery was created historically as a traditional fine arts museum of works by local artists, as well as those of wider European origin. From the start, a vital focus of the Slovak National Gallery has been collecting twentieth century works of art and mapping the culture of contemporary art. The Sculpture in Slovakia permanent exhibit is an outdoor exposition featuring works by prominent twentieth century Slovak artists. The Slovak National Museum is the country’s top institution with the responsibility of preparing collections for museums, organizing educational and cultural events in this particular field, and facilitating scientific research. The institution is made up of eighteen specialized museums, as well as a scientific library and a specialized public archive. As part of the educational and cultural events, the Slovak National Museum presents a variety of museum collections through temporary exhibitions and permanent exhibits throughout the country. The museum maintains the most extensive museum collection in all of Slovakia, consisting of over 3,890,000 different items. The Slovak National Theater is comprised of both the modern opera hall located next to the Danube River, which opened in 2007, and the Neo-Renaissance opera house located on the city’s Hviezdoslav Square. These two theater venues are owned and operated by the same institution, and both halls host theater, ballet, and opera performances throughout the year. The newer theater has more superlative acoustics, a larger audience capacity, and extra leg-room. The old opera hall, however, boasts resplendent architecture from the 1890’s. The facade features a sculpture of Thalia, the muse, and an elegant fountain is in front. St. Martin’s Cathedral can be found on the western side of Old Town. The Gothic cathedral was built during the fifteenth century against the walls of the city, and was a bastion as its secondary role. Situated in the shadow of the city’s namesake castle, St. Martin’s became the church for coronations for the Hungarian kingdom up until the year 1830, making it easy for visitors to make a stop here during their visit to the Bratislava Castle. It’s role as the coronation church is commemorated by the reproduction of the Crown of St. Stephen sitting at the top of the cathedral’s tower. Housed within a section of the former Red Crayfish pharmacy is the Museum of Pharmacy. It is situated on the ground floor of a house of a Baroque burgher adjacent to the city’s moat, within the barbican of the St. Michael’s Gate. 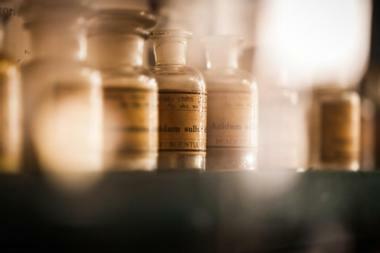 The exhibition on display in the first room of the museum highlights the history of pharmacy in Slovakia’s capital city. The entrance features original fittings of the “Red Crayfish” pharmacy. The museum’s pharmaceutical collections is made up of around 8,500 objects and 2,880 volumes of various historic pharmaceutical literature, one of the country’s largest collections of its kind. In the eastern side of the city of Bratislava is an extensive housing area consisting of three circles of low-rise residential towers dating back to the Soviet era, both in design and vintage. In the middle of the central circle of the housing development is a park, which is hope to the UFO of Bratislava. The UFO sculpture was constructed by Juraj Hovorka, a local artist, at the time the housing towers were built in the 1970’s. 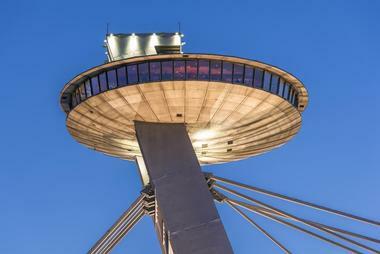 The UFO of Bratislava is fifteen feet in height and twenty-six feet wide, large enough that children were able to crawl inside of the sculpture. Volkswagen Cableway is around 450 meters in length and can be found at the Volkswagen factory in Bratislava, Slovakia. The cable cars that run along the VW Cableway are used as a way to transport complete cars from the factory to Volkswagen’s test track where they are given a test run before transported back to the factory. The cableway was constructed by Doppelmayr in 2003 and features eight support structures of up to fifteen meters in height. It contains eight gondolas that are able to collectively transport up to sixty-seven cars every hour. Over three million cars have been transported. Zlaté Piesky, situated on the edge of the city, is a natural lake that boasts many fun activities for people of all ages. The lake is approximately thirty meters deep and four hundred meters wide. At the center of the lake is a small island that is a popular place to swim to. The “beach” is covered mostly by small rocks and is surrounded by a grassy area that is great for sport activities. Activities include water bicycle rentals, water slides, a pool, beach volleyball, playgrounds, tennis, and miniature golf. An array of drinks and food can be found at Zlaté Piesky as well. 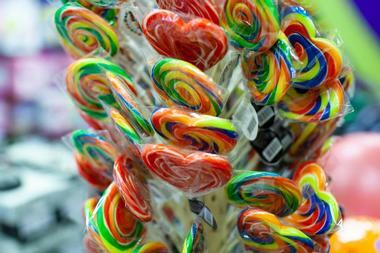 The Bratislava Candy Shop and Walking Tour takes guests around the city to see some of the most interesting sites in Bratislava before heading to the candy shop for some workshops. The tour last around three to four hours, during which visitors can also listen to various legends about the city. The Bratislava Candy Shop and Walking Tour takes place at 4:00pm on Thursdays, and at 10:00am and 2:00pm on Fridays and Saturdays. 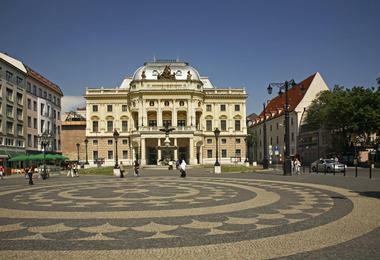 The tour starts at the Slovak national Theater. There is a discount for groups of five to ten people, with a maximum of ten.